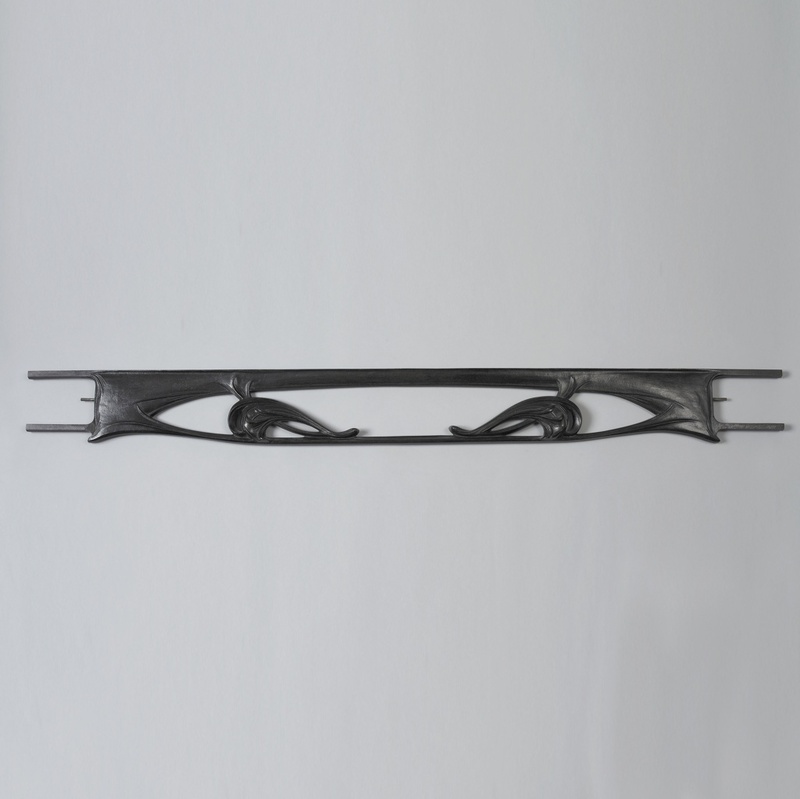 This is a Maquette for a grille. It was designed by Hector Guimard and manufactured by Fonderies de Saint-Dizier. It is dated ca. 1900 and we acquired it in 2013. Its medium is cast iron. It is a part of the Product Design and Decorative Arts department.